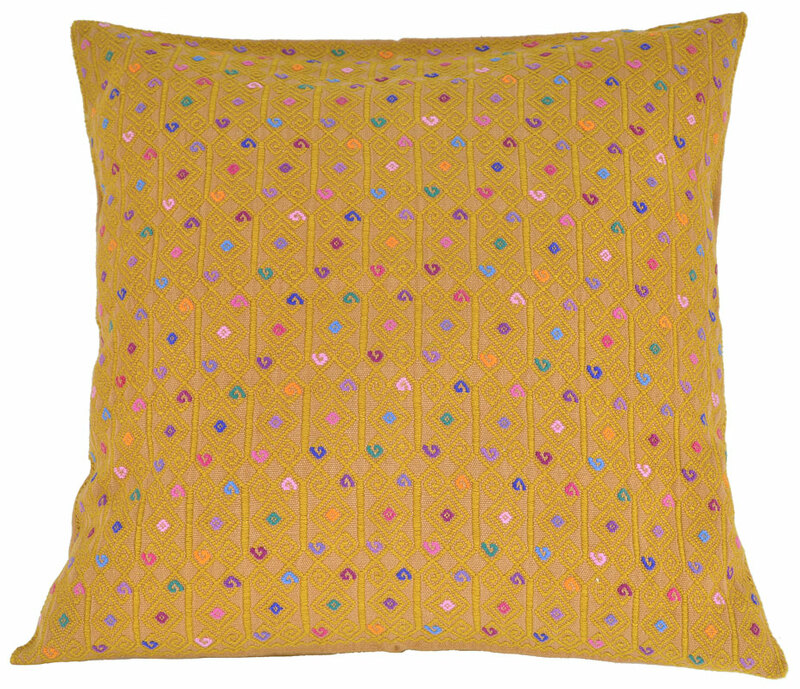 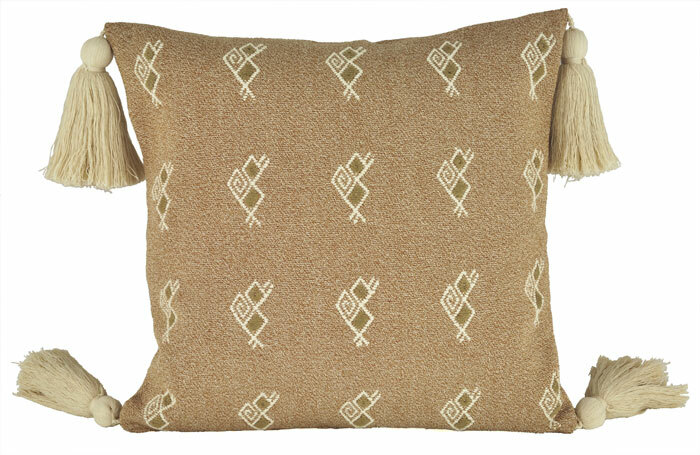 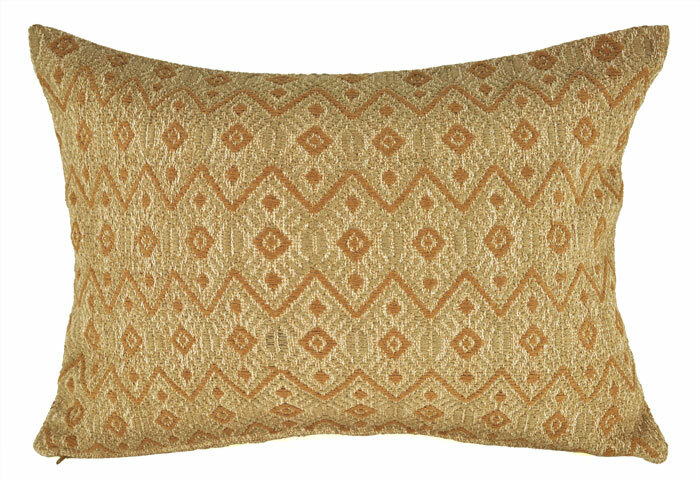 This ProTeje collection pillow cover features an exquisite bird motif of the quetzal, the national bird of Guatemala. 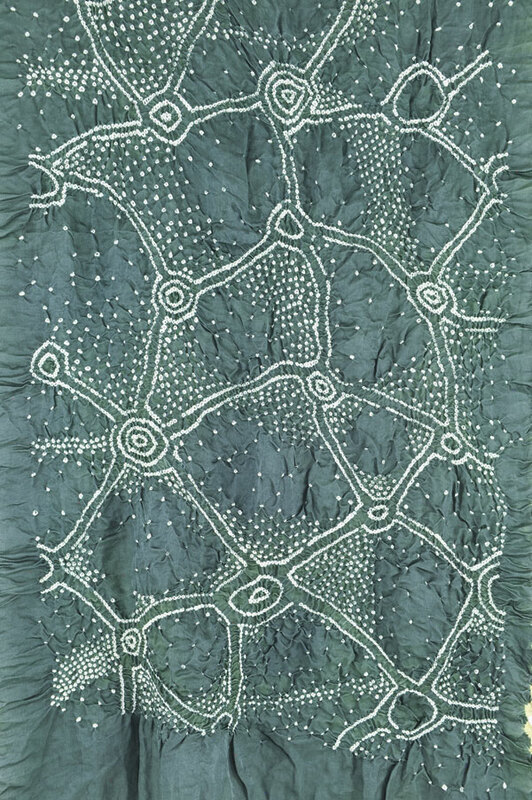 Backstrap woven by Catarina Catinac, a member of the Nahuala village, using brocade techniques and natural-colored cotton in brown, green and ecru. 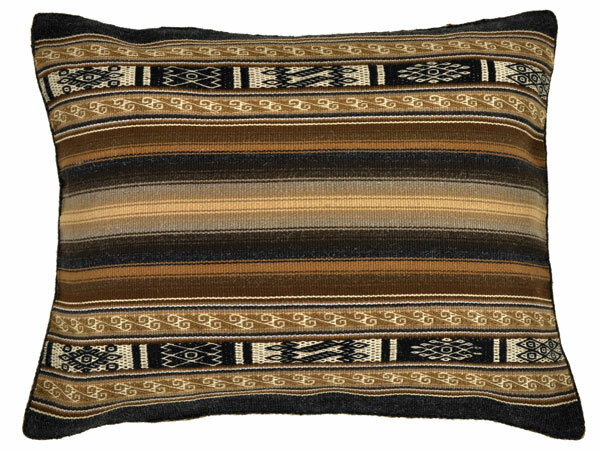 It’s finely finished with tassels at the corners. 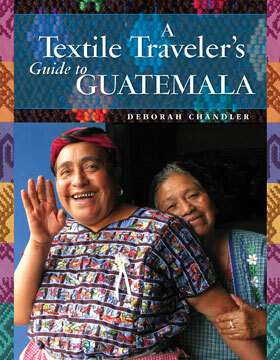 ProTeje, which means “for the weavers”, is a project of the Museo Ixchel in Guatemala City. 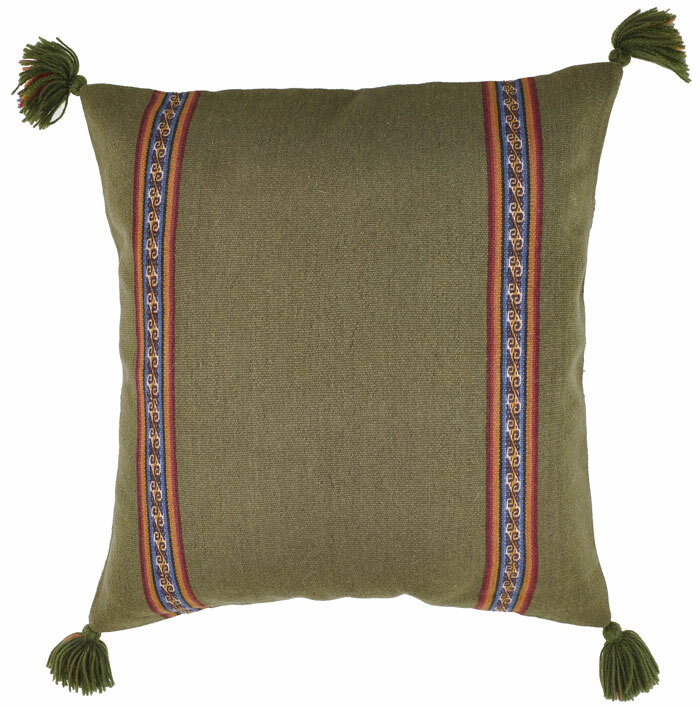 They are dedicated to maintaining the production of high-quality indigenous textiles and offering a means of economic support to Guatemalan weavers. 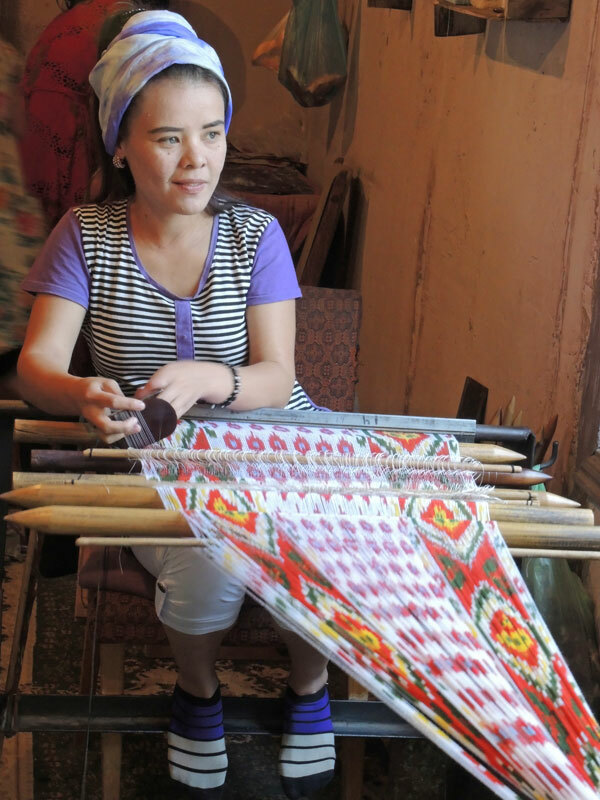 Since its birth in 1994, it has grown to support 300 weavers from nine departments and twenty-four communities.